A look at a group of Toque Macaque monkeys in their native Sri Lanka. Gosh, we sure like these yearly DisneyNature documentaries! We like the conservation effort Disney makes by donating first week ticket sales to nature conservation efforts around the world and we are proud to support it in the little way we can. This year, the focus was on Toque Macaques, an endangered breed of Macaque only native to Sri Lanka. Toque Macaques are interesting looking monkeys as they have a little tuft of hair on top of their heads that looks like a really bad 80's style bowl cut. There babies look like wrinkly little Benjamin Button old man babies, but they are still super cute, nonetheless. These monkeys live in groups of up to 50 and have a strong social order that must be obeyed and followed at all times. "Monkey Kingdom" creates an interesting narrative, told very well and in a lively manner by Tina Fey, as it focuses on the struggle of a low-ranking female Macaque they name Maya. Due to her low social rank, Maya is forced to live on the ground level, while the higher ranking monkeys get to live up in the tallest, highest branch of the trees. The higher your social rank, the higher you are in the tree, with the alpha male at the top, picking the best fruit for himself and then letting his lady high-rankers have their fill, sometimes leaving Maya with nothing more than scraps and ways to get creative to feed herself. In addition to their first pick of the food, the higher ranking monkeys also get a lot of help with their children, but when Maya has her baby called Kip, her low social status and the fact it was fathered by a non-alpha male means she gets hardly any help and will struggle to keep him fed most of the time. Macaques normally live near and around the abandoned temples deep within the forest in their home of Castle Rock, but urban encroachment on their natural habitat leads many monkeys into the cities. These Macaques forage for food in the cities, stealing whatever they can, from fruits, vegetables, rice and grain to marshmallows, chips, cake and all other manners of junk food. It is quite funny when we get to see Maya and a group of other low-ranking Macaques invade a home which looks to be holding a child's birthday party. Fey's voice-over work helps to enhance the humor of these scenes, but it also lends to the severity of the situation with these monkeys as she has wonderful tonality to be a documentary narrator. 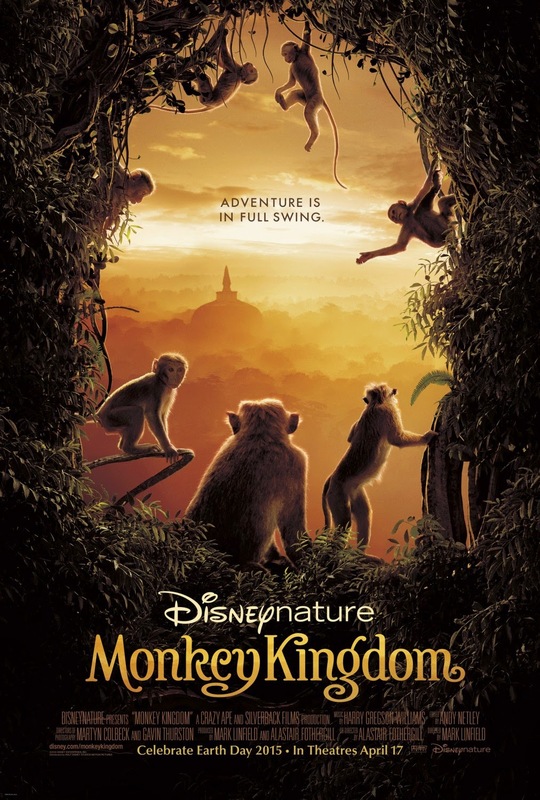 The climax of the film focuses on a battle for territory between our main group of monkeys and a rival group of Macaques that couldn't look more sinister if Disney animators drew them themselves. This rival group is full of Macaques that visibly look battle-torn as they adorn nasty scars and wounds that show they have had a combative life. The alpha of the rival group is missing part of his lip that leaves his sharp teeth on permanent display one one side and a pulled back, terse bottom lip on the other side. These battles aren't too blatantly graphic, but the aftermath can be a little traumatic as the wounds of battle are on full display and it doesn't shy away from the fact that a monkey is killed in the conflict. In fact, there is more than one occasion in the film where a monkey is killed, but as we all know, A) this is part of the struggle of living in the wild, and B) this movie is a Disney movie, afterall. 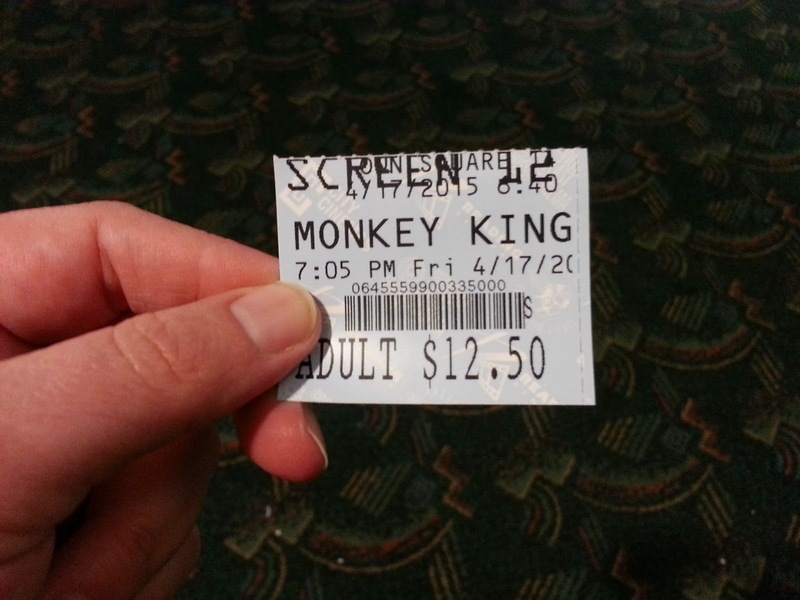 Overall, this documentary is short enough and engaging enough that kids will enjoy learning about a different breed of monkey. Plus, the voice-over work is top notch, and you will feel like you're doing some small part by watching it in the theater. We really couldn't help but smile through most of this film. I took the girls to see the bears movie Disney did and we liked it a lot. My only thing with this one.... I hate monkies! You hate monkeys?! How come? What is it about that that you hate? These ones looks like Benjamin Button babies, so i can sort of see why! They just creep me out. They do gross things. Bite people's faces off. Throw their poop. Just. No.